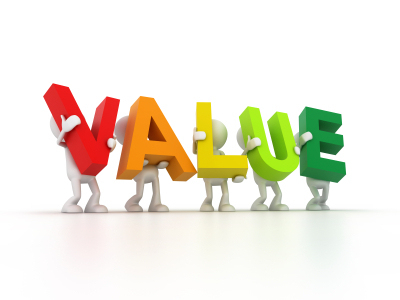 In every aspect of life, value is a very tricky thing to pin down, but that goes double for the art world. The value of an artwork is distinct from the actual selling price, but they are definitely related. As an artist who is just starting to sell work online - or perhaps just starting to sell at all - it can be very difficult to decide how to price your art. We've discussed some basics before, so please swing back and check out our post on the topic here, but what happens if you're not happy with the price point you're selling your work at? Conventional wisdom would tell you that you simply have to wait, and let your fame spread so that your work will accrue value - but remember, typically when you see artworks sold at auction for seven figure price tags, the artist isn't actually receiving any of that money. New pieces are likely to command much higher prices at that point,but for those of us who are impatiently stuck in the starving artist phase, this is scant comfort. Fortunately, there are some things you can do to immediately boost the sale value of your artwork. First of all, it's important to understand what makes artwork valuable beyond the pure artistic merit of the piece. Essentially, it comes down to the story and information behind the piece that adds character and value. Part of a good piece is the experience a viewer has when they look at it, and every additional aspect of detail that can be added to the piece and its history will enrich the experience of the viewer. Keeping that in mind, one of the most important things you can do to add character to a piece is to sign it. It sounds simple, but if you had two pieces side by side of equal artistic merit and one was signed and one wasn't, which would you pick? Titling and dating work along similar principles, and if your career really takes off, you'll be very happy to have that information. If you work in a digital medium or something similar where prints are your main result, print a limited run and number them. Prints are often sold in runs of 50, 100, or 250, although really you can sell as many as you like - but remember that the fewer in the print run, the more value each print acquires. Finally, be sure to include the story of the piece. What inspired it, what it means to you, where you did it, all of these things help create a narrative around the piece and enhance the experience of the viewer each time they look at the piece. Nothing is ever created in a vacuum, and viewers know that - help satisfy their curiousity, and you'll be raising your prices in no time.